Aloe Vera is a common household remedy and a $13 Billion industry worldwide. It’s a plant that you can find growing wild all over the world—and one of the most widely-used natural products in the Western World. Looking at where Aloe is today, it would be easy to assume that it’s just always been there for us. By comparing the DNA sequences and genetic data of some 200 different species of Aloe, the team at Kew Gardens was able to discern not only the origin of Aloe as a species (which was in Africa) but they were also able to see how the plant adapted and spread throughout subsequent millions of years. So today, we’re going to take a quick look at Aloe Vera’s fascinating origins, and find out how this wonder-plant has grown and adapted and served the needs of men and women century after century. As the continent warmed in the wake of an ice age, the plant began to grow up the coast and into the Horn of Africa. While it wasn’t yet what we’d call “Aloe Vera,” it was developing into a diverse family of plants, a whole spectrum of resilient, vitamin-rich plants that would eventually die out. In Egypt, the plant was immortalized in hieroglyphics—chiseled into walls and referred to as “the Plant of Immortality.” The people of Mesopotamia believed that Aloe could ward off evil spirits. The Knights Templar even drank a kind of palm wine with Aloe in it that they believed to have boosted their health during the Crusades. Early traders took the plants along to use for their own medicinal purposes. The plant’s resilience and its usefulness as a free natural remedy for things like sunburn and soreness resulted in traders toting the plant all over the world—all the way to places like India by 600BC, and eventually on to the Americas. Into the 19th and 20th Century, some had begun to doubt the effectiveness of Aloe as a natural remedy, but it was soon realized that shipping the finished product greatly reduced its potency. Aloe had to be administered fresh from the plant in order to offer maximum benefit. That’s a large part of the reason why it spread so successfully and so quickly—because in order for it to be effective, the entire Aloe Vera plant had to be transported. So scientists struggled all the way into the 1970s, when a method was finally discovered that could preserve all the plant’s beneficial compounds while making it safe for storage and transport. Soon after, Aloe-based lotions hit the shelves in American supermarkets and became an instant hit. It’s almost amusing that despite all our innovation, despite all our healthcare and exciting new medicine—humans still love the organic, all-natural remedy that is Aloe. And why not? After all, it’s worked for thousands of years. Like using Aloe as a regenerative healing mask at the end of a long day … or ingesting it to aid with heartburn and digestive trouble. While that last one might sound strange to some people, it’s actually becoming more and more popular—as new scientific studies prove that the Aloe Mucilaginous Polysaccharides (AMP’s) in in Aloe Vera extract offer a wide spectrum of nutrients, anti-inflammatories and other beneficial compounds. By taking a concentrated extract of this highly effective natural remedy (Like AloeElite, which condenses 30lbs. of raw Aloe into each individual bottle), many report a number of impressive and lasting benefits—from gastrointestinal relief to increased energy and immune health. Most people know Aloe Vera for its benefits as a skin cream—the perfect remedy for dry or sunburnt skin that still feels soothing and refreshing on your best day. Oozing from the thick green leaves of the exotic-looking Aloe Vera plant, the extract is overflowing with rich, bioactive compounds (like vitamins, amino acids and antioxidants that most people don’t get enough of) which make it a godsend for most people’s skin. But what about Aloe Vera’s other benefits? That’s right; a boatload of recent scientific studies show stunning new health benefits for Aloe Vera consumption—specifically when it comes to the Aloe Mucilaginous Polysaccharides (AMP’s) that are the plant’s most concentrated extracts. Once you understand what we call the “5 Secrets of Aloe’s Magic,” you’ll have a better grasp on how Aloe Vera can provide all these benefits. At the end, you’ll even get to hear a few quick testimonies from some of AloeElite’s satisfied clients. So without further delay, let’s start revealing some of the Succulent’s secrets! By the numbers, Aloe Vera is one of the most impressive edible substances out there. With a whole alphabet of vitamins from A to B6 and the ever-elusive B12, Aloe Vera is an all-natural powerhouse that blows away many of the off-the-shelf vitamin you might be buying. Combine that with 20 key minerals, all 8 essential amino acids and a whole host of other micronutrients and fatty acids … and it’s hard not to be impressed. This is another fundamental fact that helps Aloe Vera interact with the human body so well. As an adaptogen, Aloe is able to promote immune health, help the body resist illness and even help to stimulate adaptive mechanisms and defense in case the body does become ill. Supplemented by the rest of Aloe’s amazing benefits, the plant’s adaptogenic qualities can help reduce the impact of stress and improve overall health. When taken in gel form (or even more concentrated doses), Aloe can absorb toxins as it passes through your intestinal tract and into your colon. Like seaweed and Chia seeds, this will consistently cleanse your body’s digestive tract. 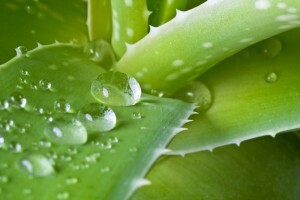 Additionally, Aloe Vera provides much-needed Alkaline-forming compounds. Most Americans consume a high-acid diet—drinking too many sodas, fruit juices and coffee—without realizing the imbalance this forces on their system. By offsetting acid consumption with Alkaline-rich Aloe extracts, some have vastly improved their health. Aloe Vera extract provides key polysaccharides that stimulate your system’s white blood cells, helping to keep your body free of new infections and even fight off existing ones. Combined with the plant’s antibacterial and antioxidant qualities, these compounds give your immune system an all-around boost that can really help during cold and flu season. We mentioned it above, and it’s true. Thanks to a dozen key compounds (including B-sisterole), Aloe Vera offers proven anti-inflammatory properties. By reducing inflammation and then barraging the system with immune-stimulating compounds, vitamins and amino acids, Aloe Vera offers amazing benefit for sufferers of digestive issues and a whole host of other diseases. To create 1 bottle of AloeElite we use roughly 32 fully grown Aloe leafs which is about 30+ lbs or 8 gallons of Aloe juice. In it’s raw form or when juiced, Aloe contains particles that usually don’t digest easily and can prolong or even make worse an existing digestive issue. AloeElite™ is a much more potent derivative of Aloe Vera in which the particles that irritate you are removed and the healing part that remains is greatly condensed making it much more potent. Aloe Vera is most commonly known for its soothing effects topically by reducing inflammation and irritation of the skin. Reducing inflammation and irritation in your digestive tract can help relieve symptoms of digestive diseases allowing your body a chance to heal by enabling better absorption and assimilation of nutrients from food and medication. Using only the highest quality Certified Organic Aloe Vera, we carefully stabilize and extract the aloe mucilaginous polysaccharides (AMPs), the healing molecules from the Aloe Vera plant, discarding the irritants, enzymes and mineral salts which can irritate the digestive tract. Aloe’s AMPs & L-Glutamine are an ideal nutritional combination for digestive wellness. AloeElite gives you both, in one product, at a superior standard of quality – for the soothing digestive wellness andrejuvenating vitality you deserve. Our Aloe Mucilaginous Polysaccharides are of the highest quality available. Our Aloe is Certified Organically Grown in ideal soil and climate. We select the best-quality aloe leaves and carefully harvest them by hand. 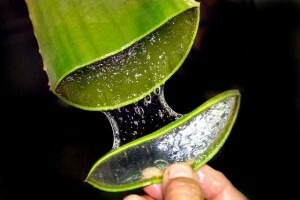 We fillet aloe leaves to remove rind and latex, isolating its beneficial gel. Lightning Fast: Aloe is highly perishable, with extremely fragile nutrients. That’s why the AloeElite manufacturing facility is located next to our aloe farms. By reducing transit time, we minimize handling, bruising and oxidation of our leaves – preserving their peak nutritional content. Our aloe is processed into a supplement within 24 hours – from harvest to capsule – maximizing freshness and bioactivity. High Performance: The AloeElite laboratory includes High Performance Liquid Chromatography (HPLC) testing, a cutting-edge technology that enables us to analyze potency and purity. Our HPLC gives us absolute assurance that eachAloeElite capsule supplies the exact nutritional activity it is supposed to. New Equipment: Our dedicated facility includes today’s most advanced equipment: Gleaming, sanitary stainless steel machines for processing, blending and encapsulating our superior aloe supplements. FDA Approval: Our facility meets the US Food and Drug Administration’s (FDA) stringent quality standards for nutritional supplement formulation and manufacturing.